The online course ‘Elite Singing Techniques – Phase I’ on Udemy is designed to teach you professional singing by first giving you the foundations in practical aspects such as using all the relevant muscles of your body to drive and protect your voice and the stylistic techniques. You then move on to using Eric Arceneaux’s Techniques to sing more naturally and freely so that you get the maximum expression and enjoyment from singing. Eric Arceneaux has created a very thorough course for people interested in singing professionally and/or developing their singing technique. He gives you a foundation of solid singing techniques, which enable you to develop your range, sing more powerfully whilst at the same time helping you to protect your voice. Eric also understands that ultimately you want to enjoy your singing and have fun with it: Eric achieves this by introducing you to his own techniques, based on a natural way of singing. Eric is friendly and fun throughout the course, making it easy and enjoyable to follow along. Students also have the support and inspiration from the active community of singing students of the course and Eric’s professional team. This course is a great choice if you enjoy singing already and are keen to develop your singing techniques for fun or professionally. 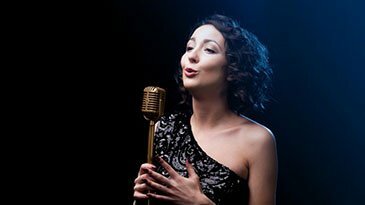 Tip: See the Udemy Coupon Deal on this page to get the best price for ‘Elite Singing Techniques – Phase I’. Good Luck! Learning is more fun with friends! Share with your friends and you'll stay motivated to learn 'Elite Singing Techniques - Phase I'!